I read through the comments and didn’t have the issues that some people had. The issue I have is that they are good, but not like samoas. We did not coat the cookies with chocolate, but drizzled it on top. I’m not sure how to change the recipe so make them more like the real deal — the cookies may need two bakings, and the coconut should have been crispier. But they are very time intensive, so I doubt we’ll make them again. 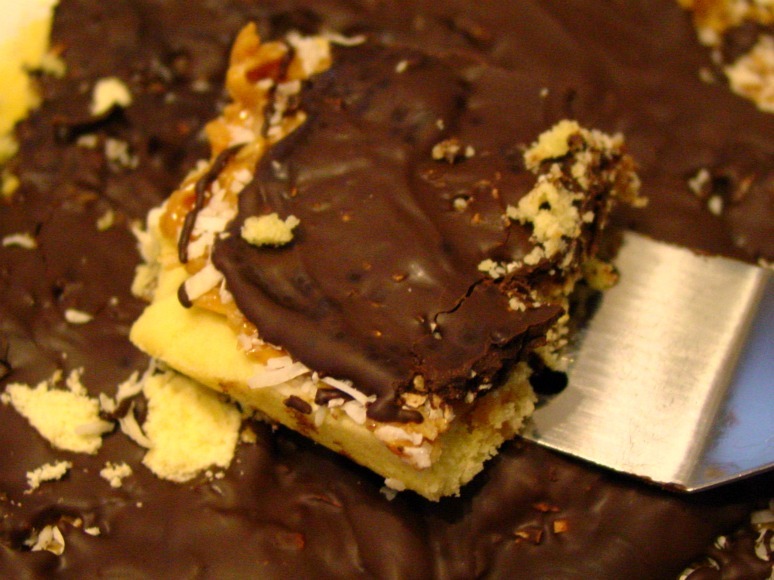 This entry was posted in food and tagged homemade samoa cookies, pin it do it. Bookmark the permalink.